It's crazy how many people need guidance in this world! And that's where the captain comes in. The captain is here to guide people on the straight and narrow. The literal straight and narrow. Because you'd be surprised how many people will just walk right off this ship if you don't state the obvious. Here's the thing. We've been giving the captain a hard time for years now but we need him more than ever. This is an era in which people regularily tip-toe along the edges of cliffs for epic selfie points and use electronics while taking baths. The advice the esteemed Captain Obvious has for all of us might seem like common sense, but some sense is a lot less common than you'd think. 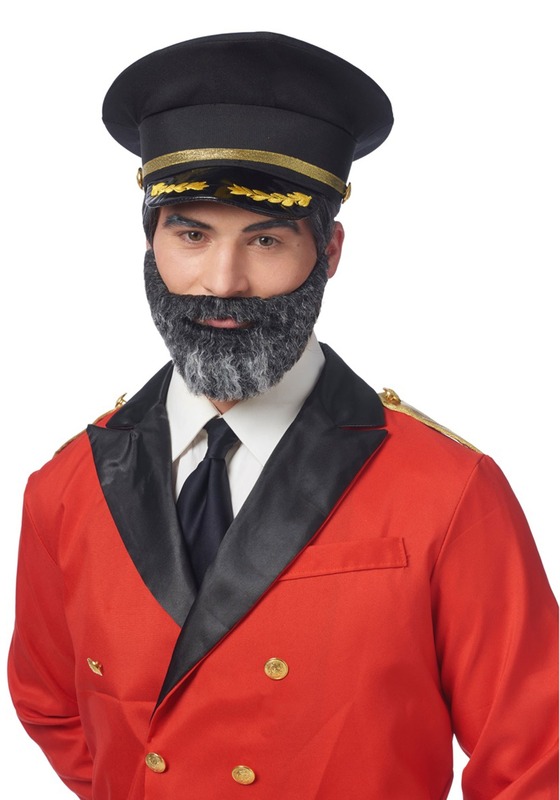 So, you've got your dashing captain costume. Looking good! We'd love to state the obvious and remind you that the Captain's salt and pepper beard in an important part of the captain's charm. It simply straps onto your face with elastic and you'll be ready to go out there and change the world. Or state what the world already knows, either or. While your friends might get irritated after a night of obvious statements, you're sure to have fun. And let us remind you, that's what Halloween is all about! The days of dropping hints and reading between the lines are over. It's about time you took your proper position as Captain Obvious!